Prices start at $300Golf Package Includes Accommodations, Green Fees, Cart Fees and All Taxes. This Myrtle Beach Legends golf package has you staying 3 or more nights and play 4 or 5 rounds getting the 4th or 5th round for FREE! The free round must be booked after 1 PM on any day except during winter months. Also included is breakfast, lunch, and 2 beers or sodas at each course. The prices for this Myrtle Beach golf package start at $300 per person based on 3 nights and 5 rounds quad occupancy. The Grand Strand, which consists of 60 miles stretching from Brunswick County, NC to Georgetown, SC, is known as the “Seaside Golf Capital of the World”. We got that name because there are over 100 Myrtle Beach golf courses. That’s right, over 100! 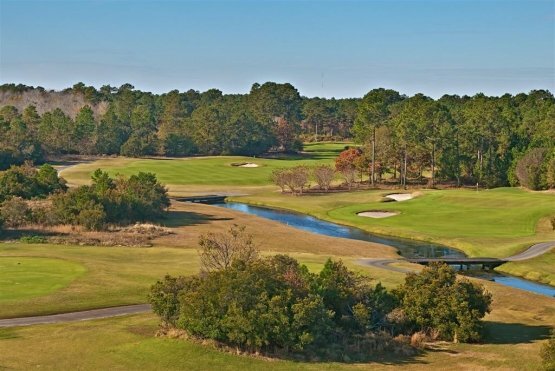 Whether you prefer a Myrtle Beach golf course that is long and open, full of water hazards and bunkers or a course that looks like it was taken from Scotland and put in South Carolina, the Grand Strand has a course that will meet your needs. 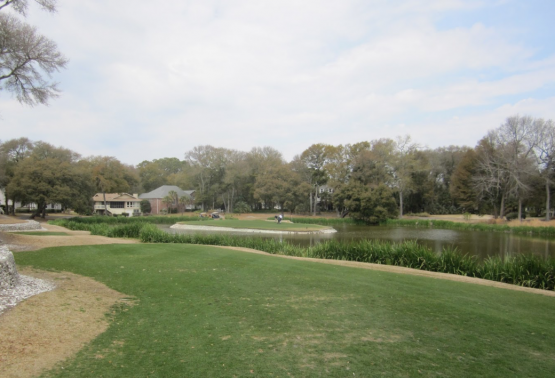 Some Myrtle Beach golf courses have been around a while, like Eagle Nest, which opened in 1972 and some are newer, like Grande Dunes, which actually has two 18-hole courses on the Intracoastal Waterway. Many famous golf course designers have created many of the unique and interesting Myrtle Beach golf courses along the Grand Strand. 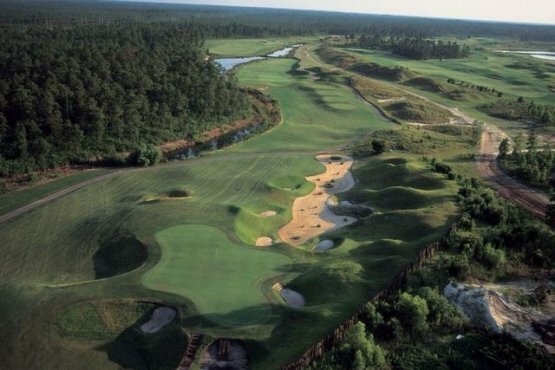 Whatever designer you are looking for, you can probably find a course that was created by them here in the golf mecca known as Myrtle Beach. In the variety of Myrtle Beach Golf Courses you will find those that are long, those that are short and everything in between. If you are looking for a Top Ten rated course from Golf Digest, we have that – just be willing to pay the greens fees that come along with that distinction. For those more budget minded, but looking for a great challenging course, we have plenty of those as well. Bottom line is that whatever you are looking for in a Myrtle Beach golf package, there’s a good chance that one of the 100+ courses you have to choose from will meet that need. Legends Heathland – a British Isle links style course with deep-faced bunkers and renovated Champion Bermuda greens. With wide fairways, pot bunkers and enormous greens, Heathland defines a layout that encourages creativity for low handicap golfers and provides playability for high handicappers. Legend Moorland – a Pete Dye design named as one of the “fifty toughest courses in America”. A unique course with multilevel fairways and greens, along with his signature bulkheads. Voted 2014 Myrtle Beach Golf Course of the year and ranked #6 as one of the best courses to play in South Carolina by Golfweek. Legends Parkland – was designed as a compliment to nature with its tree lines fairways and vast natural areas. The driver is the most important club in the bag at Legends Parkland, because finding the fairway is a necessity for golfers that want to score well. There are more than 100 bunkers and sprawling waste areas, which also provide tremendous visuals. The greens are large and undulating, so playing for the middle is a winning strategy, but the layout is fair and the course isn’t overly tight. 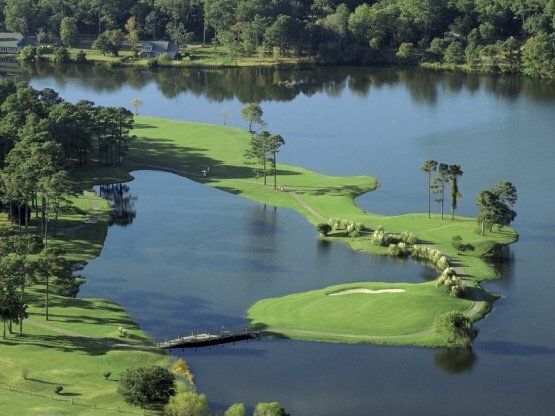 Oyster Bay – a favorite of Myrtle Beach golfers for over 20 years, Oyster Bay blends nature and course design to include several marsh-oriented holes, two island green par threes, and a blending of other natural elements that puts your game and your concentration to the test. Architect Dan Maples created a course where variety and innovation are the name of the game. 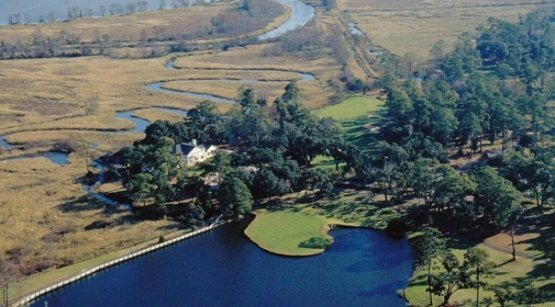 Heritage Club – Built on two of south Carolina’s historic plantation along the Waccamaw river. With acres of giant Magnolias, lakes and marshes, Heritage Club was named 46th among the 100 top public courses by Golf Digest.